Here's a theme request by 'Ariel' for a Boku Wa Tomodachi ga Sukunai (Haganai) theme; and so here it is! 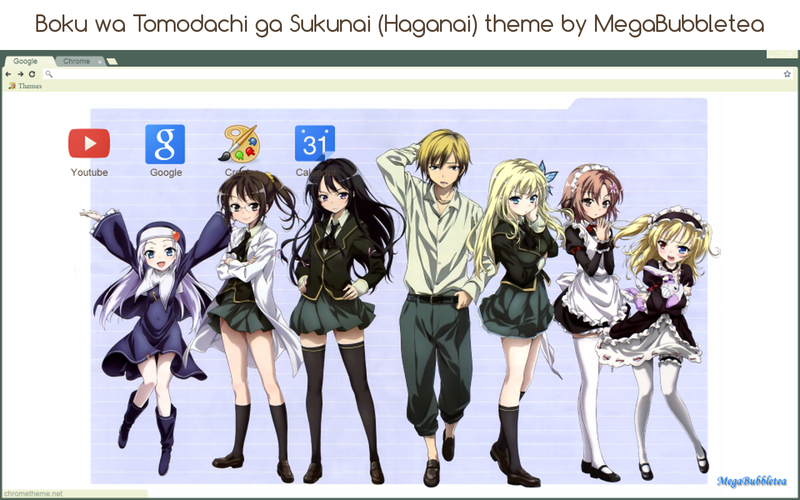 Simply fitted with the colors of the uniform of the characters in the anime, fans of Haganai will definitely enjoy this theme! Get it now.